This time of year sometimes I feel like I’m swimming in baked goods! I tend to bake a lot myself and then by the time you get some baked goodies from neighbors and friends, you have too much that you could ever possibly eat before they aren’t fresh anymore. Well, thankfully Dorothy, one of my favorite bloggers from crazyforcrust.com shared her tips for freezing ANY type of baked good. Even things like gooey cupcakes, pudding pies, or cheesecake. I’m going to quote a lot of what she says and it’s a lot of information but I found it to be very helpful! I hope you find these tips to be helpful as well! To defrost: Let them set on the counter to come to room temperature. Don’t remove the paper towel--that will absorb the moisture as they thaw. Yes, you can even freeze things with frosting! This works with anything that’s gooey and/or you can’t stack when room temperature for fear of crushing the decorations. 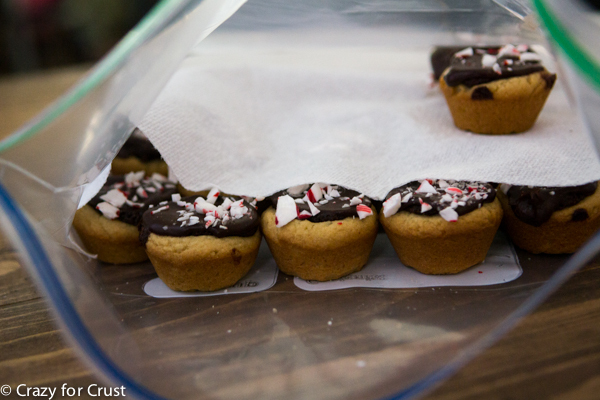 Place the items in a single layer on a cookie sheet. Place the cookie sheet in your freezer. (Remember to use a pan that will fit in your freezer!) Let them freeze for about 30 minutes to one hour, then take them out of the freezer. Large airtight containers work best for cupcakes and you can stack frozen cookies and bars between paper towels in gallon size bags like regular cookies/bars. Refreeze until needed. To defrost: If your items are in a single layer in an airtight container or in one layer in a bag, just leave them on the counter to thaw. If you stacked the items, place them in a single layer on a baking sheet to thaw so that the frosting doesn’t smudge when it gets to room temperature. Yes, you can freeze fudge! To defrost: Let them set on the counter to come to room temperature. Don’t remove the paper towel--that will absorb the moisture as they thaw. The only issue there is with freezing chocolate dipped candy is that it is sometimes less shiny after thawing. So, if the truffles are for a gift, you may not want to freeze them. Muffins: Freeze them like you would cupcakes, in a single layer on a cookie sheet. Once they’re frozen you can throw them in a large gallon size bag, seal, and store in the freezer. Just take a muffin out as you need one and either let it come to room temperature or microwave it for about 30 seconds. 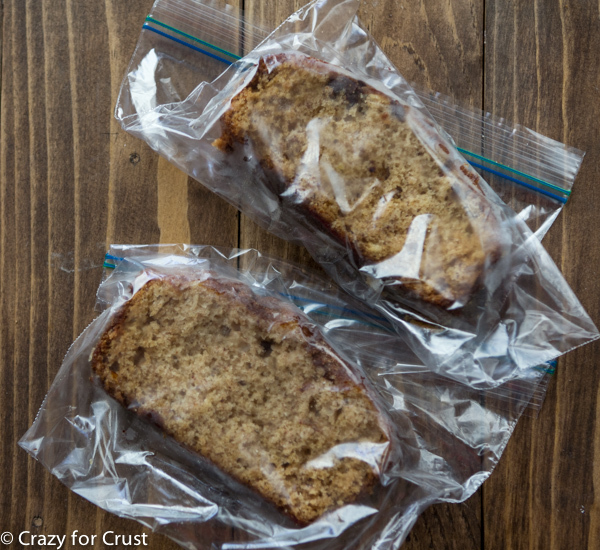 Quick Breads: Slice the loaf of quick bread and place each slice in a sandwich size Ziploc bag. Seal and freeze. Take one bag out at a time, as needed. Either let it come to room temperature, or microwave for about 30 seconds to thaw. Yes, she even freezes her cheesecakes! It is a thing. There are two ways to freeze a cake, cheesecake or pie. There are some caveats with freezing pies, cakes and cheesecake. If your cheesecake has a topping, like chopped cookies, they may soften in the freezer, so beware. You will have more success freezing firmer pies, like chess or cookie pie, that pudding pie, but you can freeze them all. It’s just a matter of how pretty they look once defrosted.